Studies health and mortality, with a particular focus on inequality and social differentials. Other interests include the demography of American Jews and applied demography. Current research includes analyzing the causes of infant death in Florida, multiple causes of adult mortality, and intergenerational linkages of SES and health. G. Valle, J. Weeks, M. Taylor & I. Eberstein (2013) "Mental and physical health consequences of spousal health shocks among older adults." Journal of Aging and Health 25(7):1121-42. J. Bishop-Royse & I. Eberstein (forthcoming, 2013) "Individual and county-level factors associated with racial disparities in cause-specific infant mortality: Florida, 1980-2000." Ch 7 (pp 93-115) in N. Hoque, et al., (eds.) Applied Demography and Public Health. NY: Springer. A. Burdette, J. Weeks, T. Hill & I. Eberstein (2012) “Maternal religious attendance and low birth weight.” Social Science & Medicine 74 (1961-67). I. Eberstein & K. Heyman (2010) “Jewish identity and self reported health.” In Christopher G. Ellison & Robert A. Hummer (eds. ), Religion, Families and Health: New directions in Population Based Research. New Jersey: Rutgers University Press. N.Spence & I.Eberstein (2009) "Age at first, parity, and post-reproductive mortality among White and Black women in the US, 1982-2002." Social Science & Medicine 68:1625-32. I. Eberstein, C. Nam & K. Heyman (2008) "Causes of death and mortality crossovers by race." Biodemography & Social Biology 54 (2):214-228. 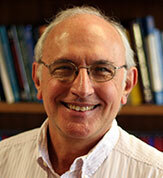 PI with John Reynolds (Co-PI), “Course Redesign for Introduction to Sociology,” 1/05-5/06. $62,665. Competitive grant from FSU Program for Instructional Excellence. This grant supported our conversion of SYG1000 to a hybrid of face-to-face and web-based instruction. FSU-Cornerstone, Program Enhancement Grant. “Center for Health Disparities Research: Epidemiologic & Cultural Dimensions.” 8/05-7/07. $100,000. Co-PI with Jay Turner, John Taylor and Lance Gravlee. National Institutes of Health (NIA). "Multiple Causes of Death and Differential Adult Mortality" 5/01-4/02 (R03) $50,000 (Direct costs). PI with C. Nam and R. Hummer. National Institutes of Health. (NICHD) "HIV Prevention among Culturally Diverse At-Risk Couples" 4/97-3/01 (R01) $1,990,000 (Direct costs). Co-PI with D. Montgomery, D. Quadagno, & D. Sly. National Institutes of Health. (NICHD) "AIDS Prevention Among Culturally Diverse At Risk Women." Grant. 6/93-5/97 (R01) $940,000 (Direct costs). Co-PI with D. Montgomery, D. Quadagno, & D. Sly. National Institute of Mental Health. "AIDS: Children's and Parents' Knowledge and Beliefs." 5/90-10/93 (R01) $445,000 (Direct costs). PI with J. Kistner, D. Quadagno, and D. Sly. National Institutes of Health (NICHD). "Prior and Proximate Factors in Infant Mortality By Cause." 5/86-4/88. (R01) $115,055 (Direct Costs). Competing renewal 5/88-4/91. $134,406 (Direct Costs). Co-PI with C. Nam.